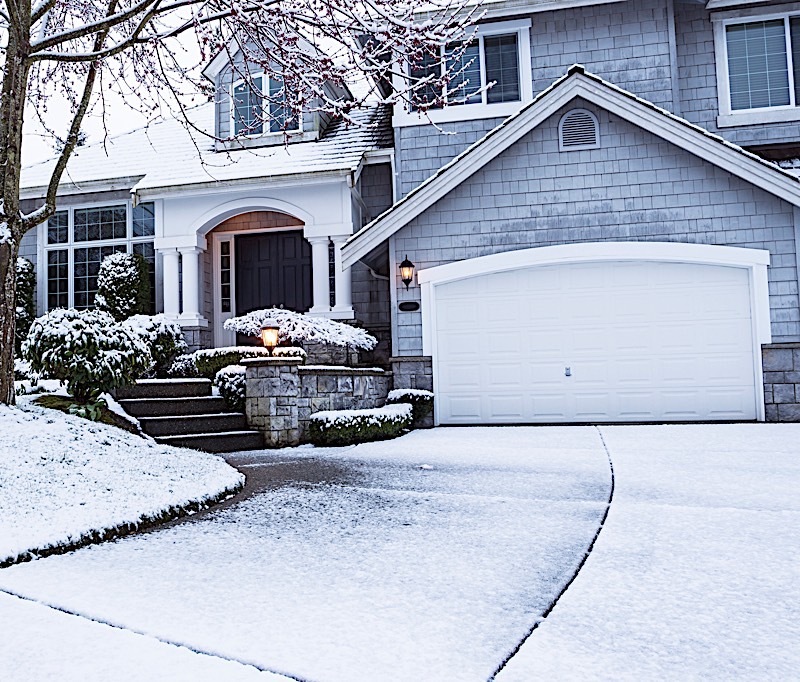 When done right, winter curb appeal can help your property shine well past the colder season. Cold weather plants and winter door decorations are among this years best winter curb appeal trends. Winter home decor is great for homeowners and real estate investors looking to get into the holiday spirit any year. 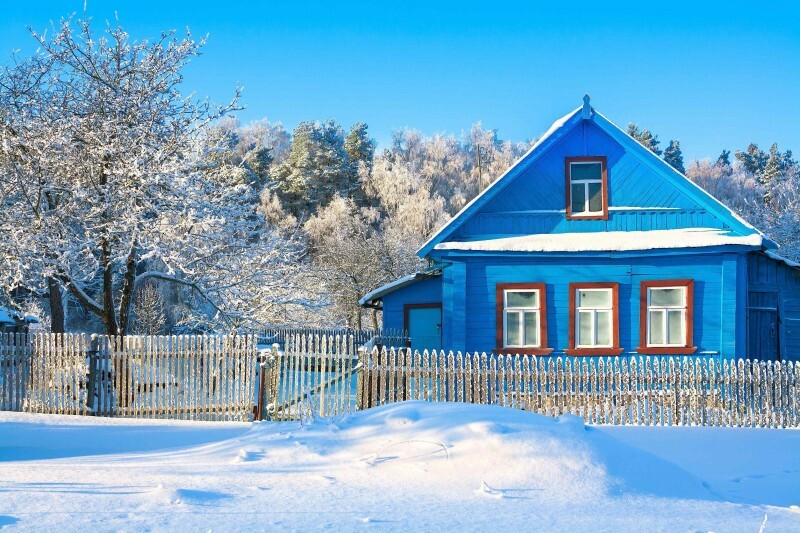 Simply because the real estate market tends to slow down over the course of winter doesn’t mean your home won’t sell. It is entirely possible to find the perfect buyer for your property, regardless of the drop in temperature. That said, if you want prospective buyers to brave the cold in order to visit your open house, you’re going to have to prioritize your winter curb appeal design. Curb appeal isn’t only meant for those looking to sell, it is just as important for homeowners looking to stay put this holiday season. 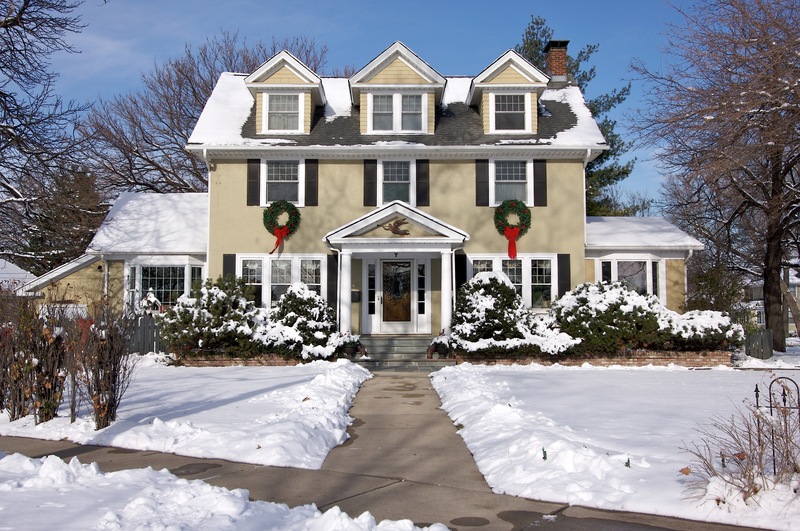 Check out all of our winter curb appeal ideas and refresh your property this season. 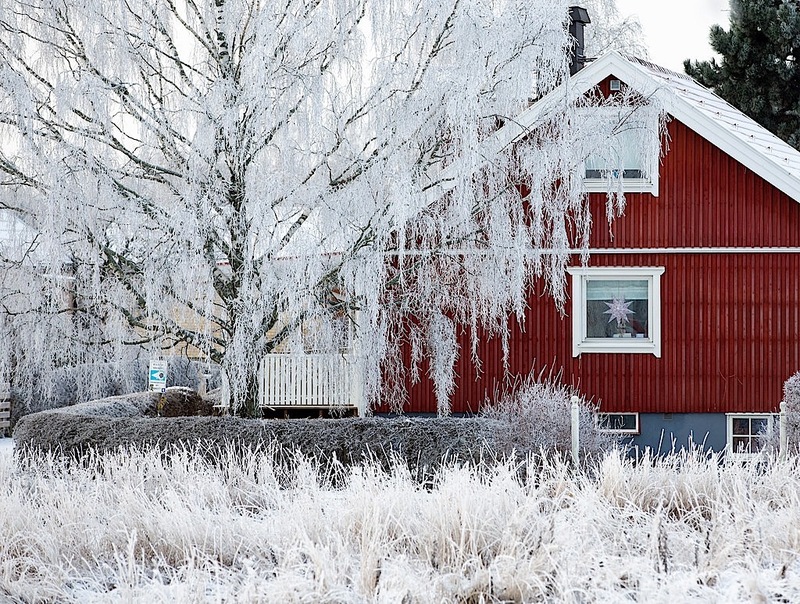 Preparing your property’s exterior for winter does not need to be an expensive endeavor. There are a number of tasteful additions and updates that can make a strong impact. The right winter curb appeal ideas can can make your existing home cozier for the colder months, or can even allow home buyers to imagine themselves living in your property. Below you will find a few of what are expected to be the hottest winter curb appeal trends of 2018. Gardening is likely not the first thing that comes to mind during winter, but there are actually a few plants that can thrive during this time of the year. 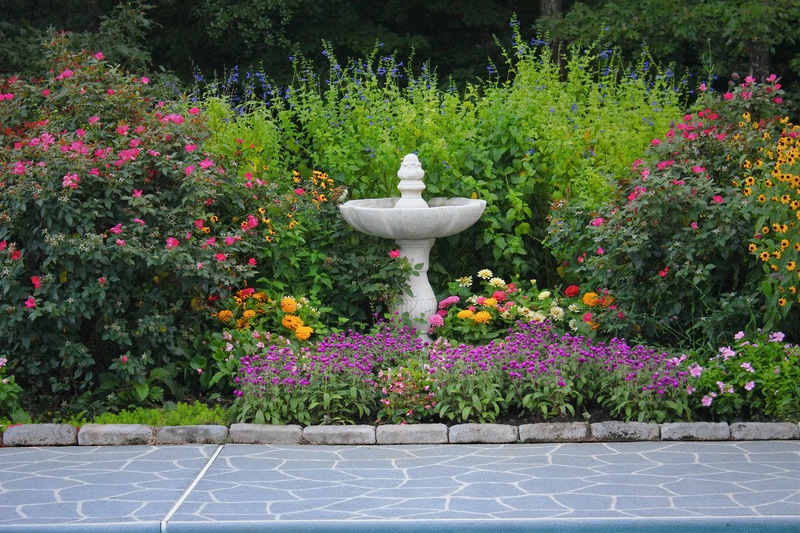 If the greyness of the season is bringing you down, consider some curb appeal landscaping to make your yard pop. 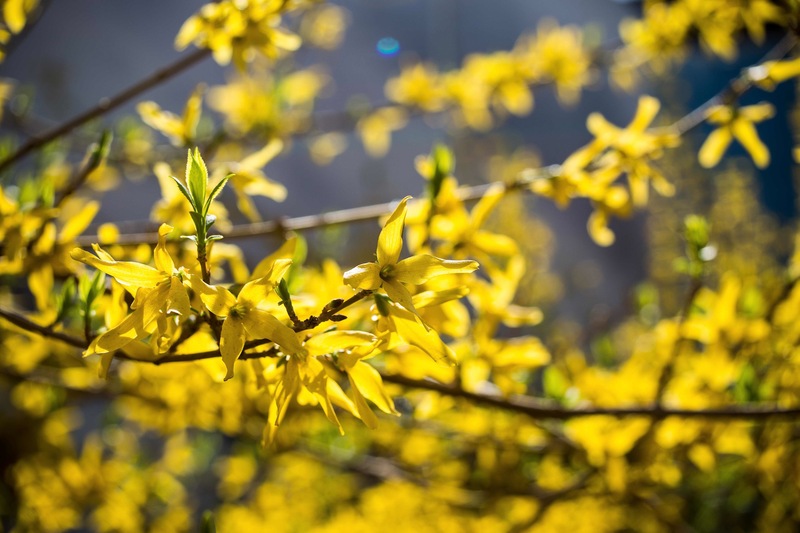 From the fiery red of huckleberry to the sunshine yellow of winter jasmine, scatter any of these colorful flowers in your front yard and you’ll add a much needed burst of color to an otherwise dreary curb appeal. 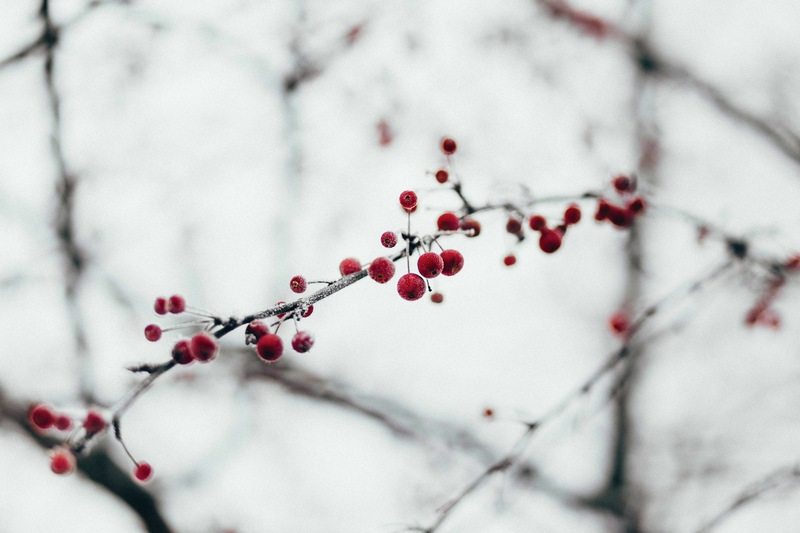 The huckleberry plant is perfect for wintertime because the red berries contrast so magnificently against crisp white snow. 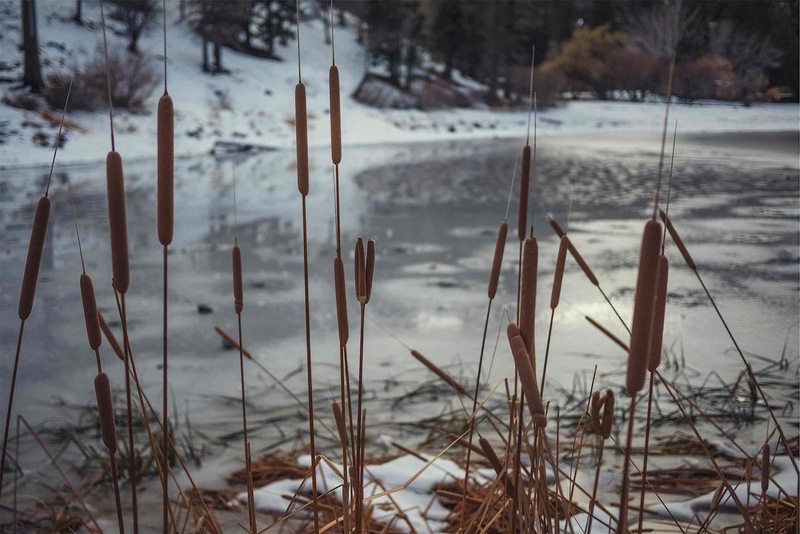 If you prefer a neutral color scheme, plant several cattails in your front yard. Not only will they bloom throughout winter, they are also the perfect addition to a low-maintenance curb appeal design. 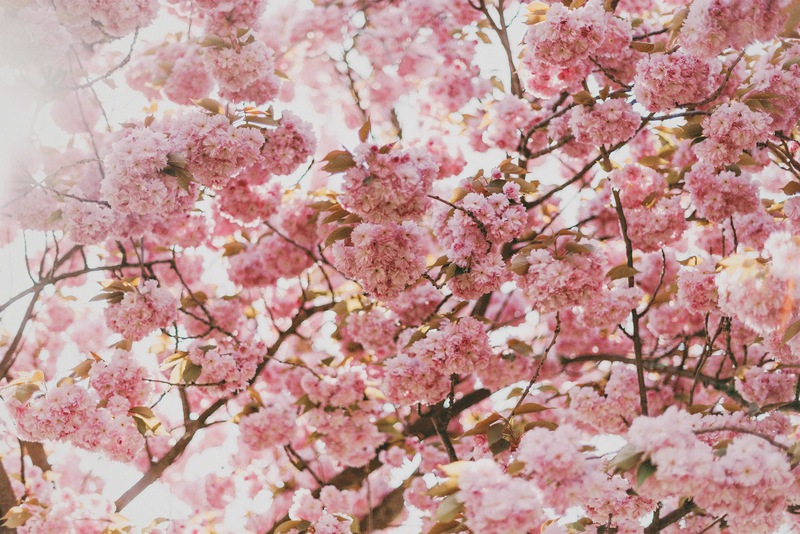 The pink hue of a cherry blossom tree is undeniably appealing, not to mention the lovely fragrance they will offer to prospective buyers. Missing the bright colors of spring and summer? Conserve the cheer year round by planting winter jasmine. Gazing at the rich yellow color is sure to keep you smiling throughout the frost of winter. The front door is a statement piece that accentuates the personality of a property. If a home’s exterior has a subdued hue, a pop of color on the front door will surely brighten up the property. For a more understated design, opting for dark or neutral tones can make the home seem elegant and modern. Homeowners looking to boost their curb appeal on a budget can utilize a fresh coat of paint or some front door decorations for winter to refresh their property’s exterior. Investors, on the other hand, can use this tip as a way to make their property stand out for potential homebuyers driving through the neighborhood. Vivid hues such as robin, turquoise or dark blue provide a stark contrast against neutral exteriors and winter weather. Pops of color will also help brighten the mood on the darkest winter days. Instead of picking out bright hues, go the opposite direction and strip down to the original wood or choose subdued wood varnishes. This choice is perfect for those embracing a minimalist, rustic design. A door featuring transparent material or decorative glass will entice passers-by to peek inside a property. The illumination from within will also give the porch a warm glow. This season, black is the new black. 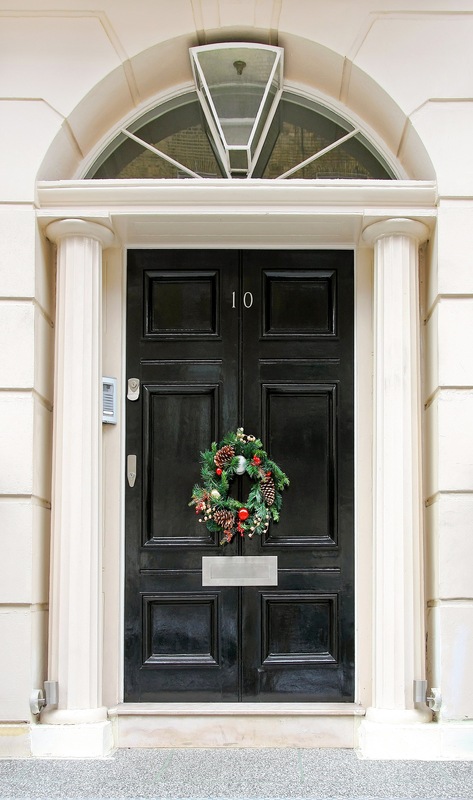 Dark doors help create an elegant, expensive look and serve as canvases for colorful wreaths and other winter decor. Believe it or not, winter is actually a great time for a few home improvement projects. Homeowners and investors alike can incorporate a few winter-approved updates into their curb appeal to revamp their properties. Those looking to make a big change can consider adding a fence, which is the perfect place for winter decor. For those looking for a more subtle project, switching out house numbers is a great improvement. The right winter-approved updates will boost your curb appeal before and after winter. 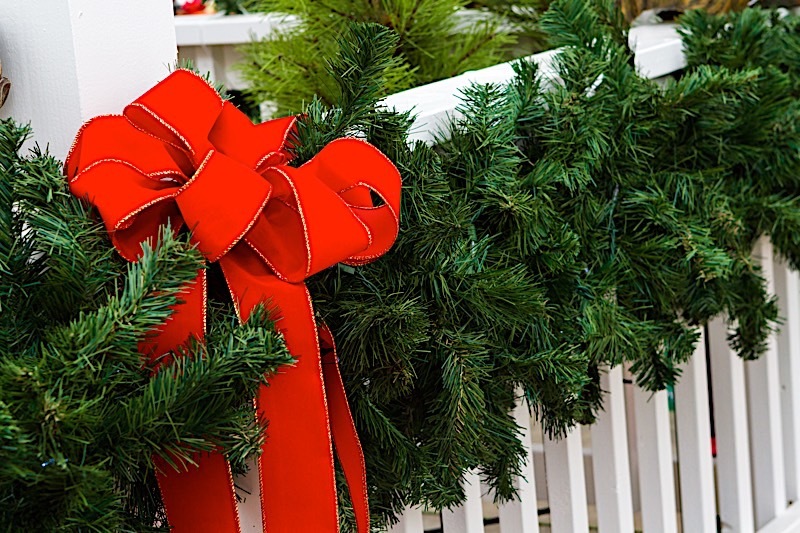 A fence is the perfect place for tasteful holiday decor, like garland or a wreath. Consider adding a fence this winter and make your property look welcoming with some extra winter decor. 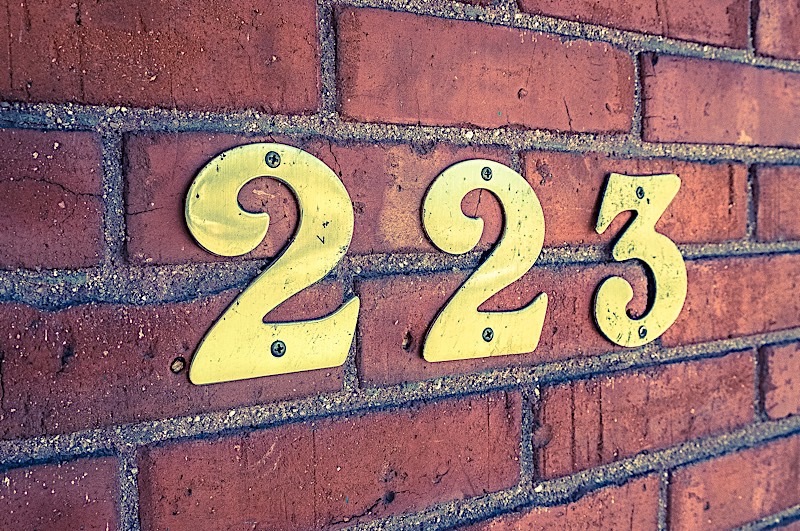 Update your address numbers to help your house stand out this season. After all, guests will need a unique way to recognize your property for any holiday parties you’ll be hosting. Don’t sacrifice your outdoor space to the snow. Instead, find weatherproof furniture that will last well beyond the winter. 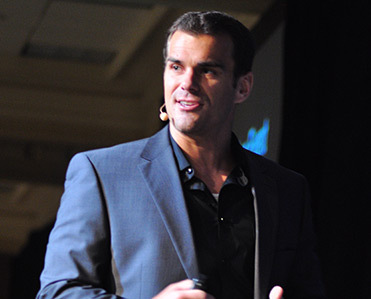 The right materials will vary based on where you live, so be sure to consider your area when looking online. Updating your garage door could either mean refreshing it with a new paint job or replacing it completely. Either option can provide a great, budget-friendly update to your home’s exterior. Keeping up with winter curb appeal trends is important for real estate investors and homeowners every year, but just because they are trends doesn’t mean they go out of style. The winter curb appeal ideas from any year might just inspire you to get creative with your property today. Check out the top curb appeal ideas from 2017 below, and don’t be afraid to fit them into your plans for this year. 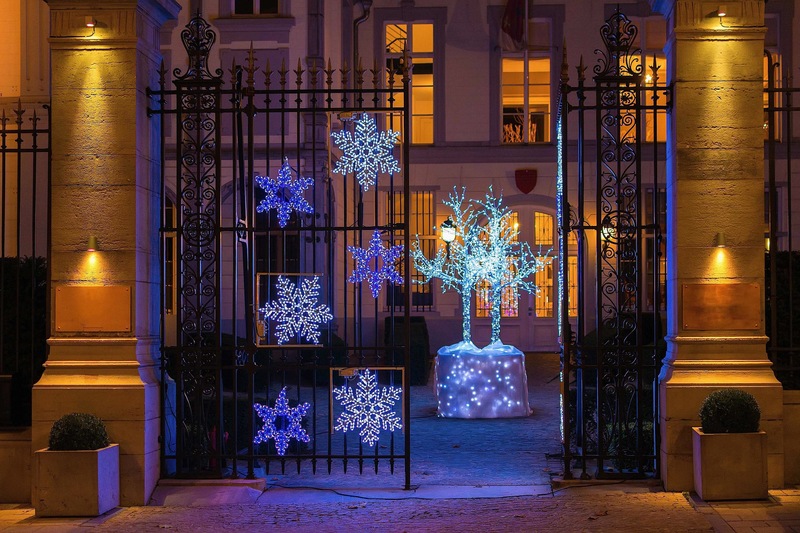 Lighting is the perfect tool to add some festivity to your property while helping spur the imaginations of potential homebuyers. As the days grow shorter and darker, beacons of light will entice those passing by to take a peek inside. 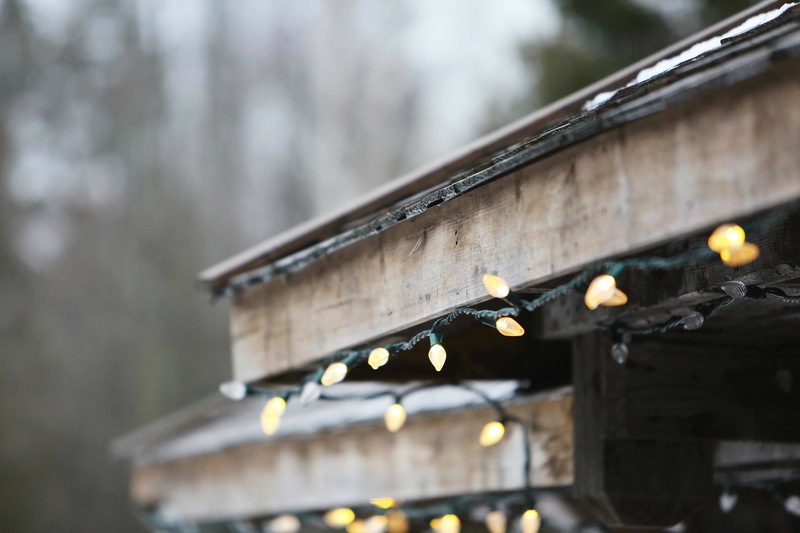 For homeowners eager to participate in the holiday cheer, putting up lights can give your home a little something extra. 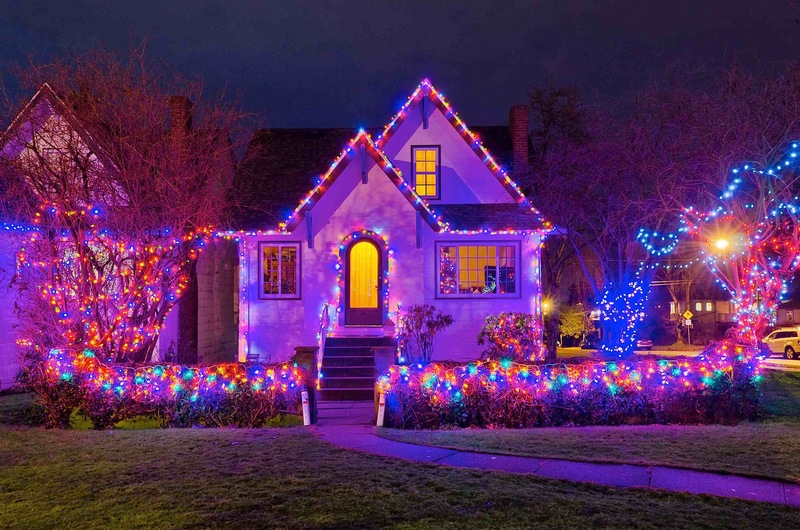 When looking at festive lights, remember to find what works best for you and your home—there are several ways to participate without going overboard or alienating prospective buyers. Considering the perfect compliment? Meet somewhere in the middle of overboard and subtle. Hang up seasonally themed decorations to give your home just the right amount of flair. If the holidays are your favorite time of year, on the other hand, feel free to go overboard with the decorations. Homebuyers will appreciate your enthusiasm. Keeping it plain is okay. If you prefer a simple sparkle over an over-stimulating light show, opt for a single strand of white lights. Just the right amount of festivity. If putting up those pesky holiday lights every year is the bane of your existence, ditch them for something easier. Turn off your outdoor lights and crank up the ones inside to create a beautiful glowing effect. A hue that often comes to mind during this time of year is red. A fresh coat of paint is one of the best ways to attract buyers or revamp your property’s exterior, so if you’re considering touching up your trim—or even your whole house—opt for a shade of red. Not only is red a bold color that will catch the eye of passersby, it is also a great way to show off your seasonal spirit. Additionally, brick is an indirect way to give your property a splash of red, and it was one of the most common materials used in 2017 home remodels. 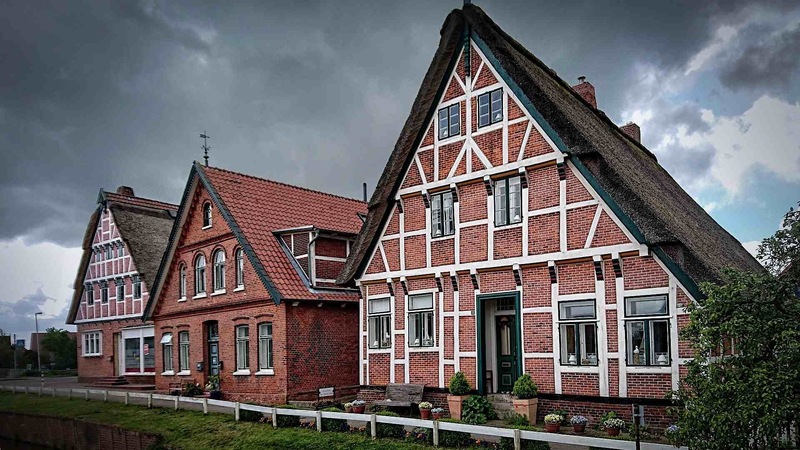 Brick has grown in popularity among homebuyers over the past decade. 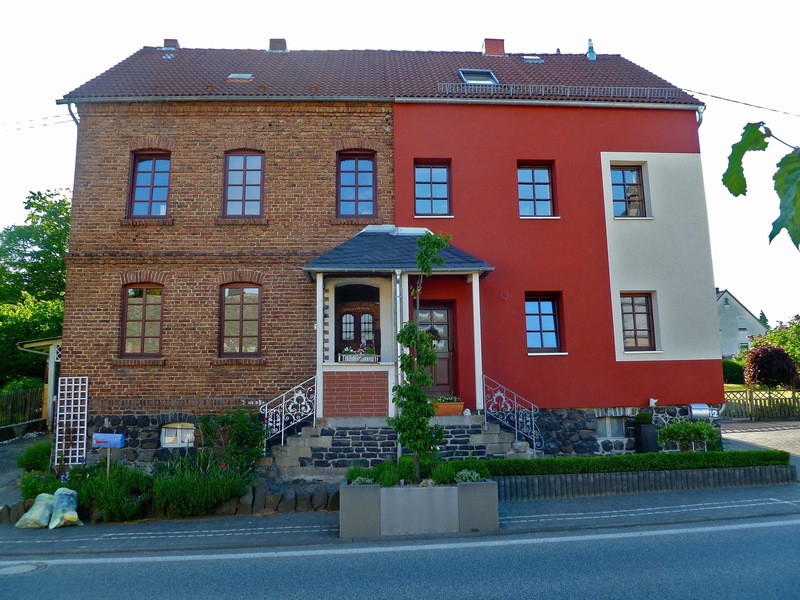 So if you don’t love the red trim look, get the color without the paint by using brick. If you really want to take it to the next level, select a nice crimson red for your home’s entire exterior. Remember, red is a bold color; if you opt for this choice, make sure to keep the rest of your decor simple. Red trim not your thing? Start small and consider a red door instead. The pop of color provides a great contrast and always catches the eye. Do red trim the right way and pair it with a neutral-color exterior. Not only will it look perfect for the holiday season, it will also stand out to buyers for the rest of the year. 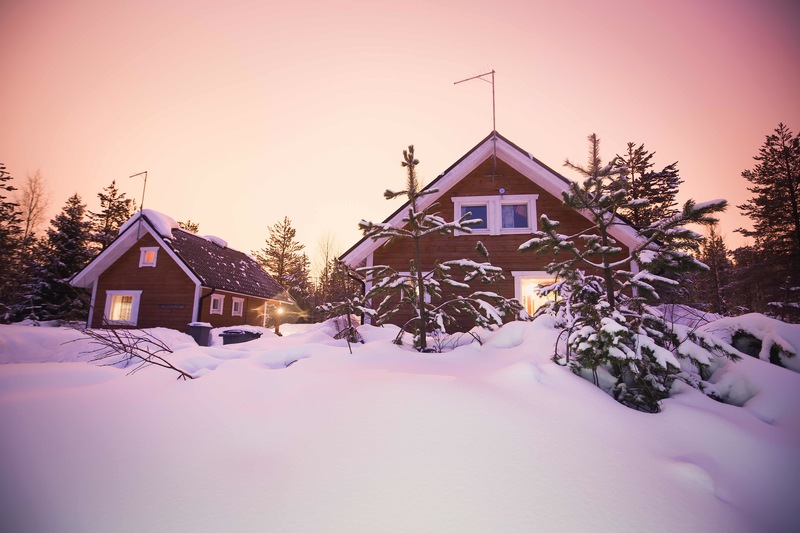 While the real estate market has changed quite a lot since 2016, the top winter curb appeal trends from that year still sound just as appealing as they did then. 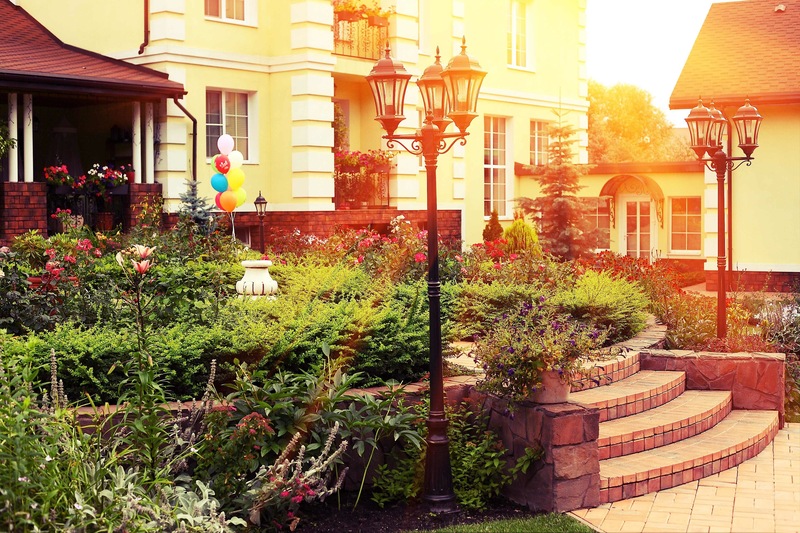 Ranging from winter wonderland decorations to adding an outdoor pond, these curb appeal tips could easily be adapted to enhance your property’s exterior this year. Scroll through the following slideshows and browse the top winter curb appeal designs of 2016. 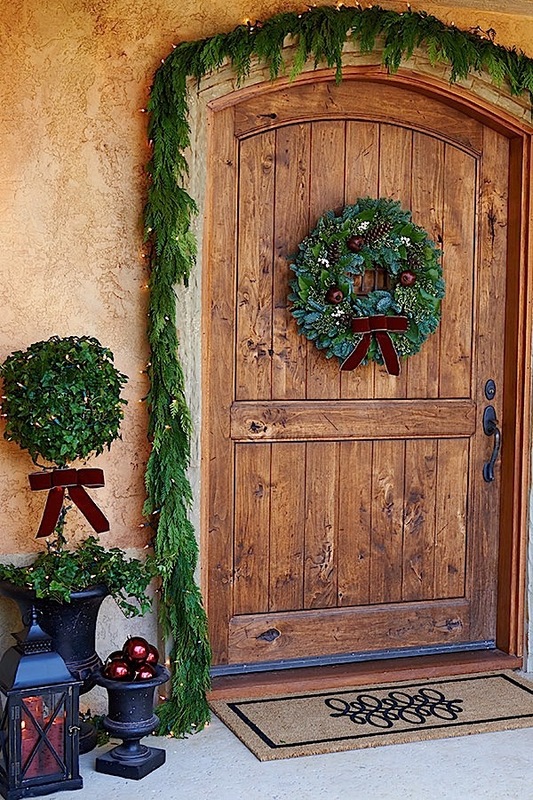 One of the easiest ways to embrace the holiday season and add to your home’s curb appeal is with seasonal decor. That’s not to say you have to exceed your personal budget and go overboard with ornamentation, but small additions can make a lasting impact. 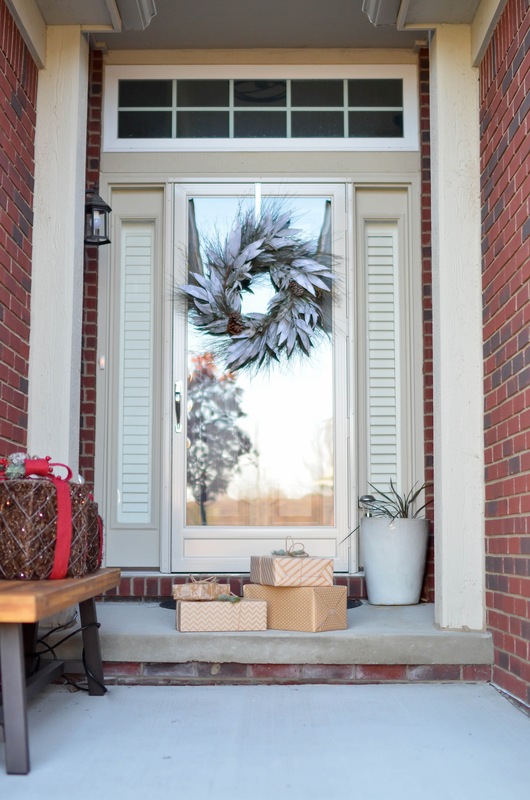 Even a few winter decorations DIY projects can entice prospective buyers (or holiday guests) to have a further look inside. 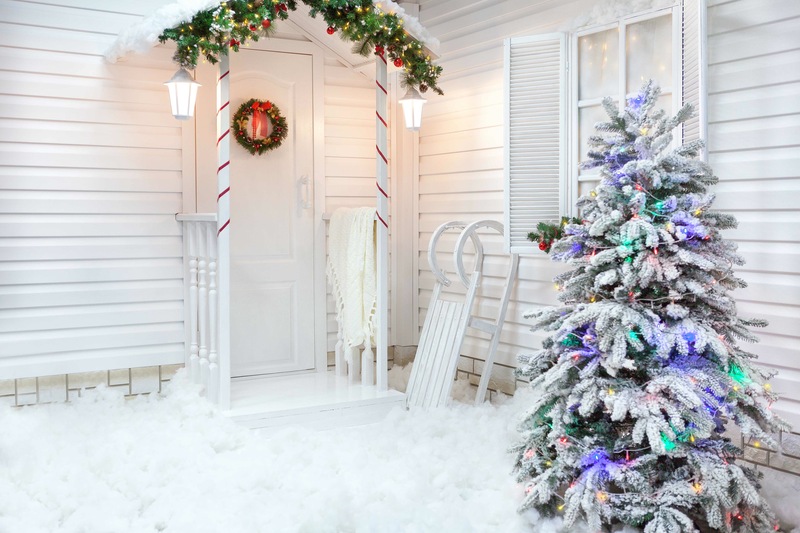 Look into making some winter front door decor or even adding lights to a tree outside, and upgrade your curb appeal today. Indulging in holiday spirit is as easy as you make it out to be.On a budget this year? Instead of breaking the bank with expensive decor, embrace the snow! Nothing is more breathtaking than a home covered in freshly fallen snowflakes. If you want to be a bit more subtle with your seasonal decor this year, opt for adorning your front porch with old-fashioned lanterns. Not only are they useful, but also just enough to get people in a wintery mood. Who says your holiday decorations are required to stay in your living room? Share your seasonal cheer with the rest of the neighborhood by bringing your decorations outside. Looking for a piece of decor that will be relevant year round? A traditional roman or greek statue has a timeless elegance that will appeal to buyers covered in winter snow or summer sun. If you are looking for winter curb appeal options that will compliment your home throughout the year, an outdoor pond is the way to go. 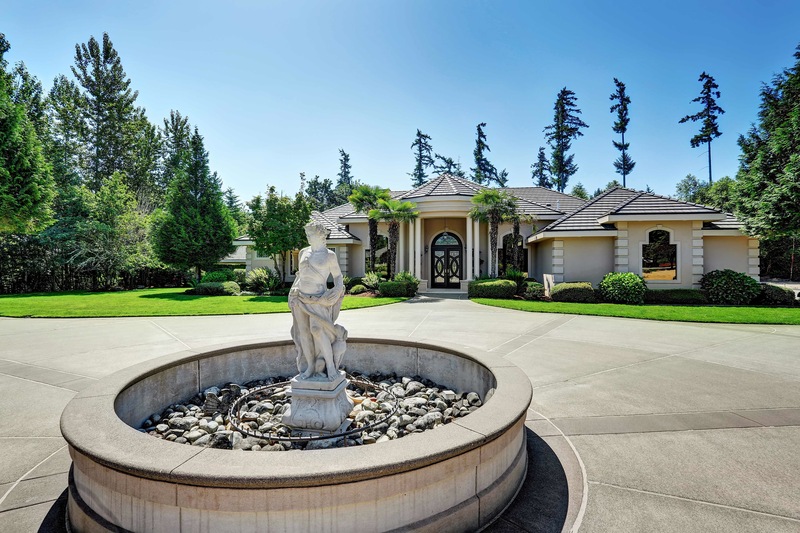 A front yard water feature adds a touch of elegance, and is sure to impress both neighbors and prospective buyers. Be sure to check out this article for some other home improvements that add value to a property. 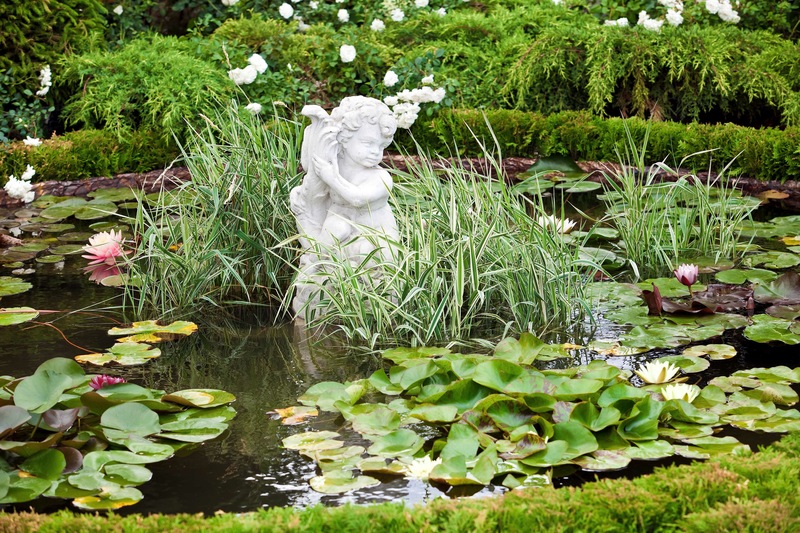 Keep it simple with a small pond covered in lily pads and perhaps filled with coy fish. This is easy to maintain and looks great in the winter. 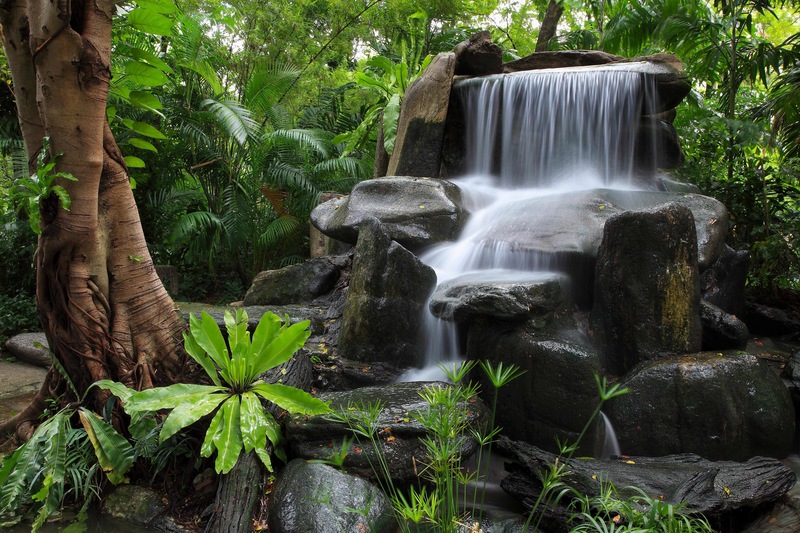 If you’ve got extra space to play with in your front yard, super size your water feature. Cover it in ivy or other shrubbery, and you’ve got a landscape that is sure to intrigue prospective buyers. Not ready to commit to a large pond? Opt for a bird bath instead. It will get the same point across and, as an added bonus, turn into an ice-skating rink for your chirpy friends in winter. 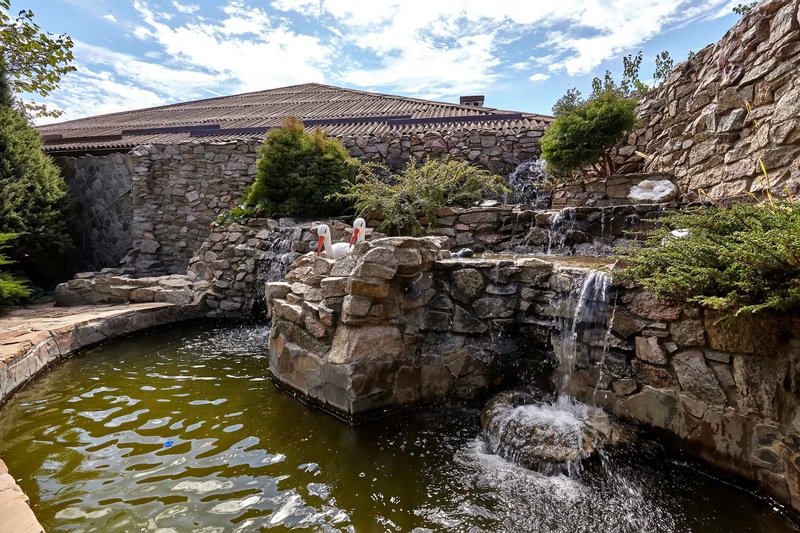 To really impress buyers, consider installing a pond that features an active waterfall. You’ll be mentally transported to a beautiful log cabin in the snowy mountains every time you look out your window. 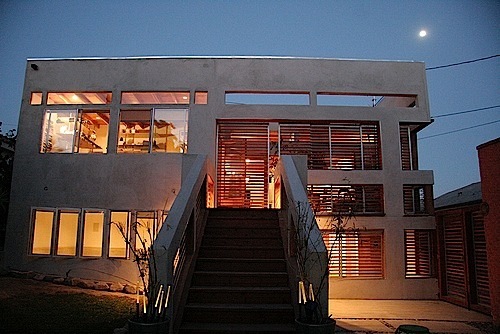 A property’s exterior serves as the first impression for anyone who comes to visit. Unfortunately, winter can come with rain, snow and slush—which can all get in the way of regular lawn maintenance. 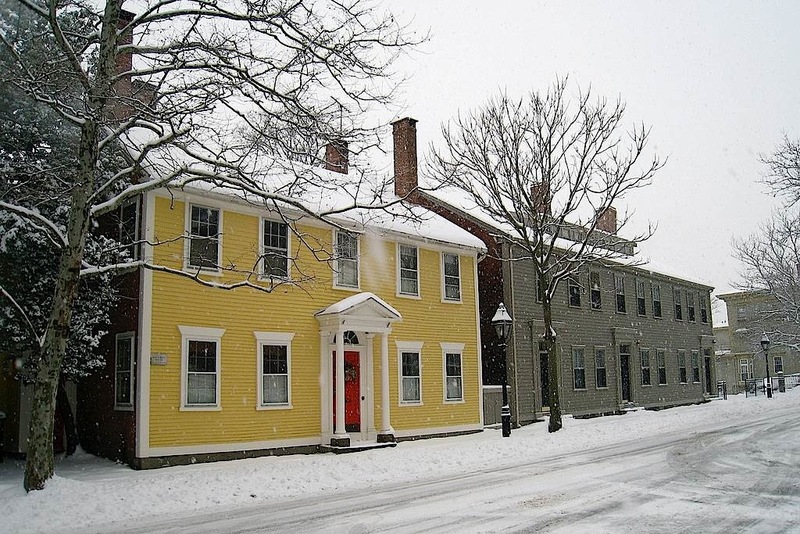 It is imperative for sellers to stay on top of maintaining a beautiful exterior, despite the frigid temperatures. If anything, it is necessary to shovel snow and clear pathways to ensure the safety of others. A well manicured exterior is the key to nailing curb appeal trends year round. 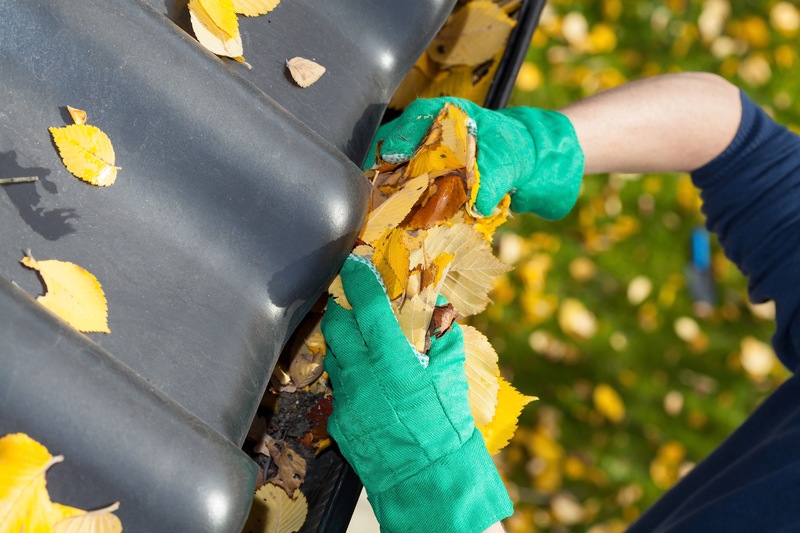 As the fall season transitions into winter, tons of leaves and debris will accumulate in the gutters. Show prospective buyers you care about home maintenance by paying attention to detail. Clearing walkways of mud and snow is not only a way to tidy up the exterior of a property, it is a necessary safety precaution. Make sure open house visitors can make it all the way to the front door without slipping! To really impress buyers, give the home exterior a few coats of fresh paint! 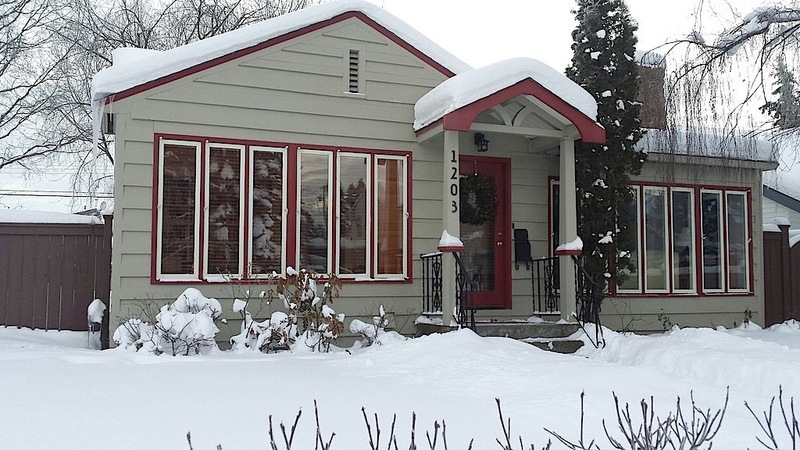 This property features a bright red color that contrasts beautifully with winter white. 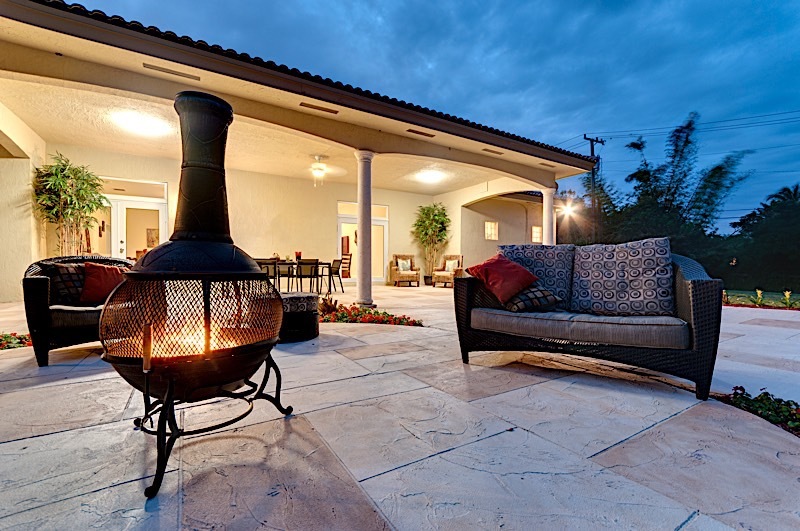 A visitor’s first impression of a home is its exterior, and landscaping is a must even in the harshest weather. Keep the front lawn and shrubbery neatly trimmed for a freshly manicured look. 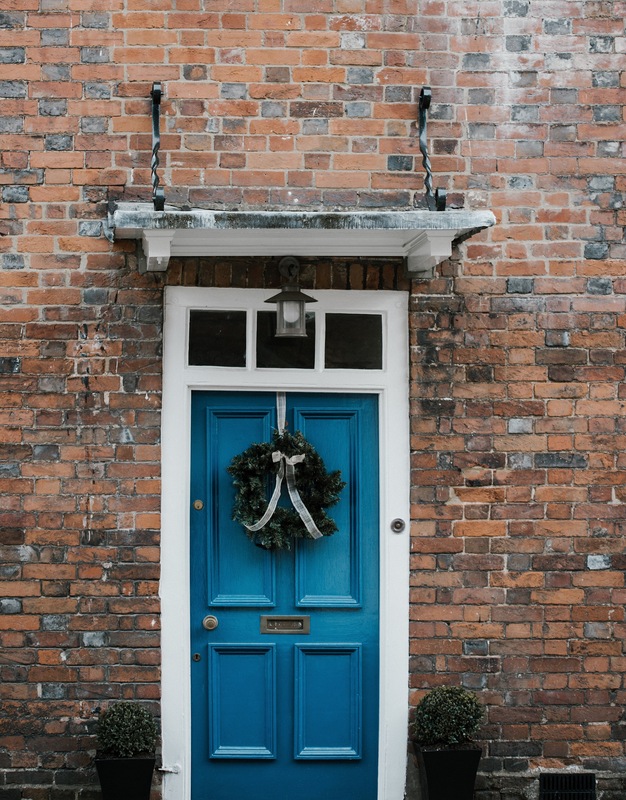 While the indoors may seem more enticing during the colder months, it is important to remember your home’s exterior during this time of year, too. 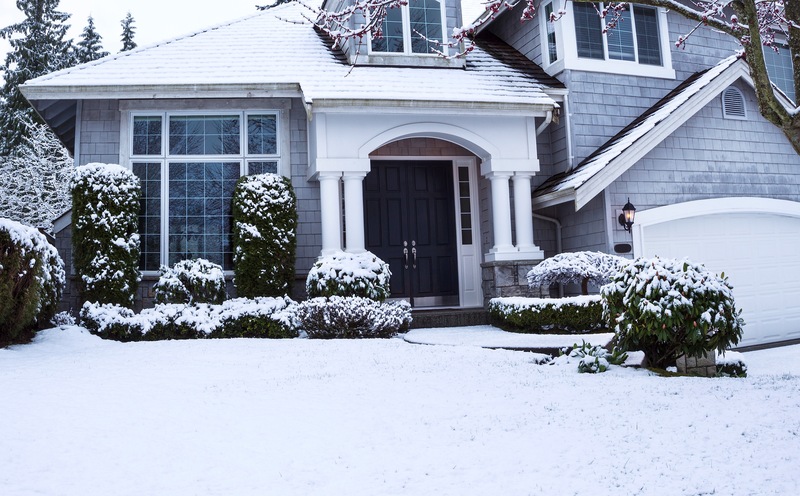 Whether you are looking to sell or simply need to give your home a refresh, updating your curb appeal this winter can help your property stand out.